The Weekend of April 5-7, 2019 – Singing our Faith – Register here! 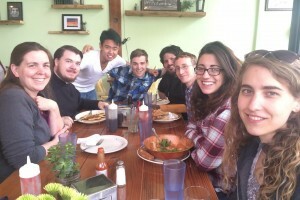 Part of the Graduate Theological Union, the Orthodox Institute serves as a witness to the Orthodox Faith fostering intercommunication between faiths in an ever increasingly interconnected world. Faculty members are invited to speak at seminars giving the Orthodox perspective on issues that face all people. Since the inception, the Institute has been a leader in ministry on and off campus. The institue invites Prominent scholars to educate the public giving seminars, lectures, and events that promote the Orthodox views, culture and faith. The Patriarch Athenagoras Orthodox Institute (PAOI) offers a unique opportunity for those who wish to study Eastern Orthodox theology in a true academic and ecumenical environment. As a member of the Graduate Theological Union, the PAOI invites students and visitors to explore the beauty of theology, culture, language, and interfaith dialogue in a special setting. 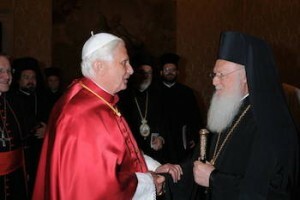 It is the place where the Eastern Orthodox Tradition is shared with the world in an atmosphere of respect and harmony.